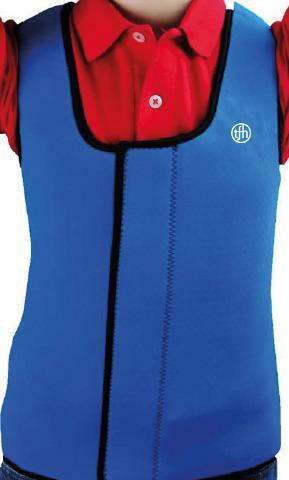 These sensory vests are made of perforated Neoprene and comfortable non-flammable materials which provide deep pressure to the body evenly and provide proprioceptive input and stability for the end users. 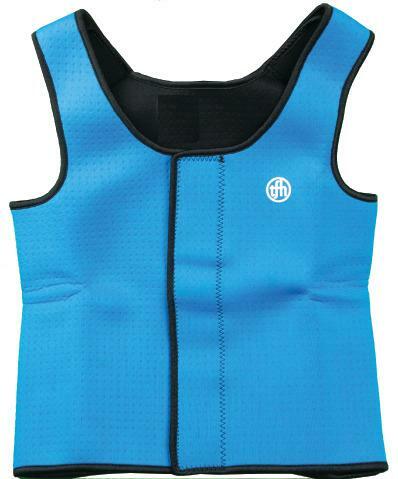 Sensory Vests are with the same materials as Deep Pressure Vests but with additional opening at central front which enable end users to put on the vest by themselves. Meet the requirements of CPSIA and the test of Wearing Apparel Flammability 16 CFR. 1610. Color is Blue. Dimensions Child Small - Chest: 29.5-30.5" Waist: 22-23" L: 17.8" Child Medium - Chest: 30.5-31.5" Waist: 23-24" L: 19.5" Child Large/Adult Small - Chest: 32.5-34" Waist: 25-26.5" L: 20" Adult Medium - Chest: 34/36" Waist: 26.5-28" L: 21.65" Adult Large - Chest: 36-38" Waist: 28-30" L: 23.25"